There are several reasons to consider A&B Prospecting as your prospecting supplies and equipment place, but two stick out above the rest. 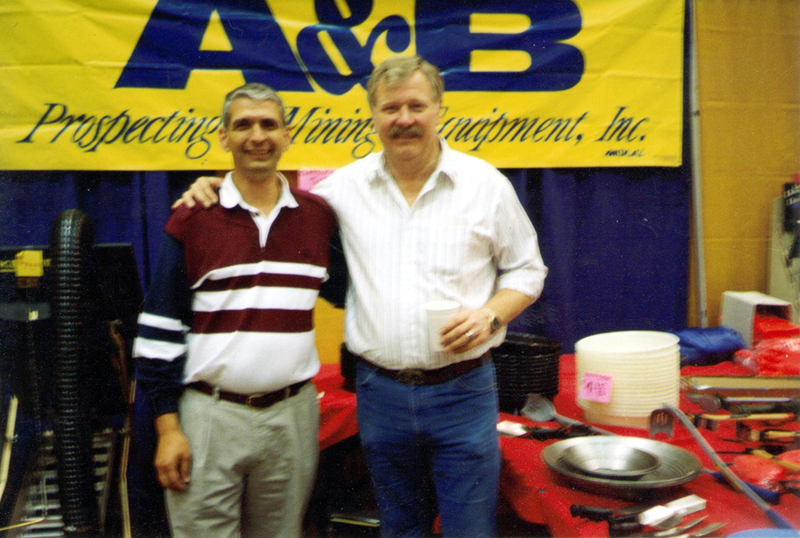 First, A&B has been serving both recreational and professional prospectors for 30 plus years. We're a time tested establishment that's developed one of the most inventoried full line dealerships of mining and prospecting equipment in the United States. We test most of the products that we carry, and they have proven themselves to be of true quality, value, and worth your hard earned money. 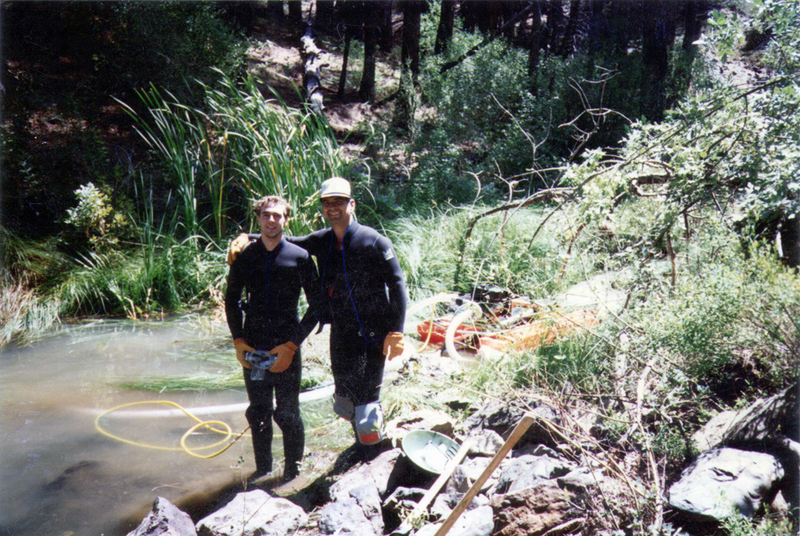 Check out pictures of our history here. Second, because of our inventory. Our online store is full of items that will ship the next day. Only a few online "stores" carry the stock. On an order, a customer shouldn't be expected to wait 4-8 weeks before they get the product. Order online, call us, or email us. A call to (480) 832-4524 before placing your order can be to your benefit. 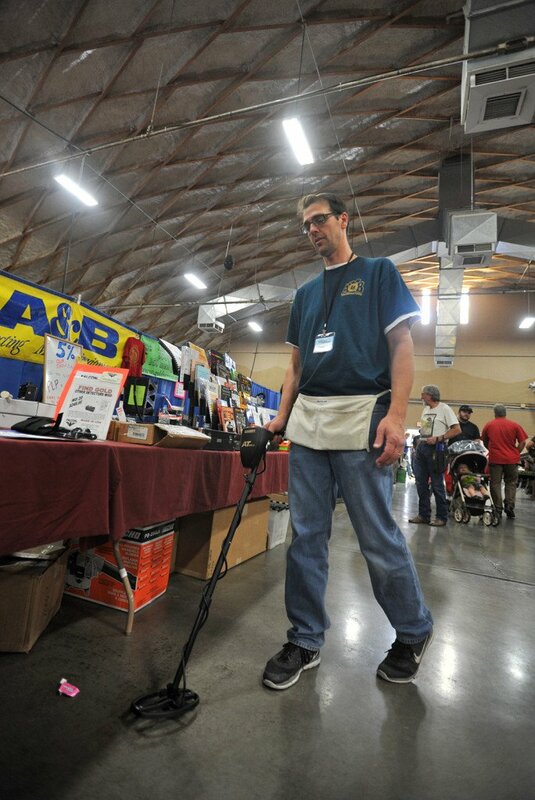 Talk to one of our knowledgeable staff to ensure you are getting all of what you need (equipment and information). We're also happy to answer general questions in order to get you on your way to finding gold!!! 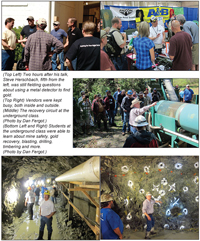 News Articles about A&B Prospecting while at the ICMJ Gold Prospecting & Mining Summit (4/16 & 17). 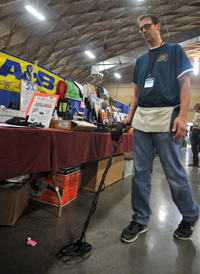 Ryan DeShon with A&B Prospecting out of Mesa, Ariz. demonstrates a Garrett AT Gold Metal Detector during the Gold Prospecting and Mining Summit at the El Dorado County Fairgrounds April 17. 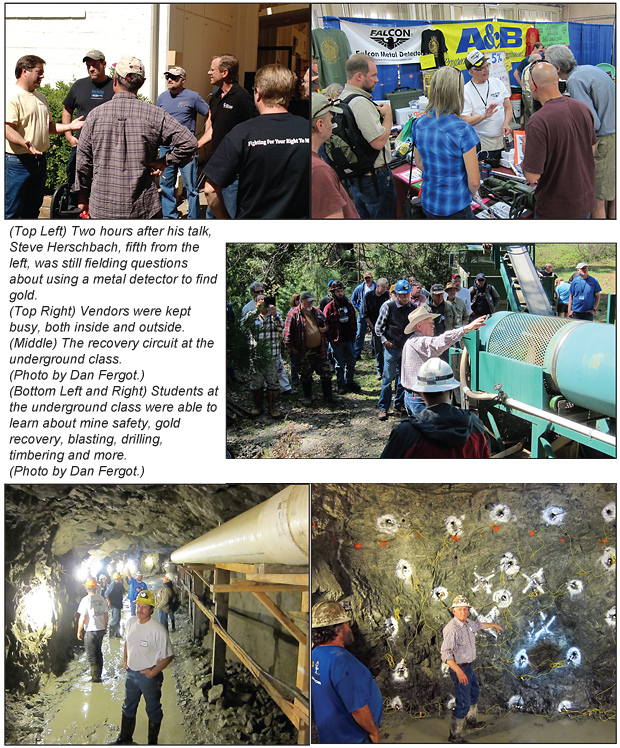 Hosted by ICMJ's Prospecting and Mining Journal, the weekend-long event educated attendees on gold panning, prospecting and gold recovery with small operations mining equipment demonstrations, expert lectures, vendors and more. Democrat photos by Krysten Kellum. For metal detectors, dredges, highbankers, drywashers, smelting, refining, assaying supplies, books, prospecting tools, and so much more.